Kathleen began her career with the United States Attorney's Office for the Northern District of Oklahoma. There, Kathleen served as an Assistant United States Attorney ("AUSA") in the Civil Division, during which time she represented the United States in defensive and affirmative civil matters, including medical malpractice, personal injury, employment law and financial litigation. During this time, Kathleen was appointed Supervisor of the Financial Litigation Unit and served as the Tribal Liaison, a position formed by the United States Attorney at the direction of then Attorney General Janet Reno. After four years at the United States Attorney's Office in Oklahoma, Kathleen transferred to the Department of Justice (Main Justice) Criminal Division in Washington, D.C. Kathleen spent one year at Main Justice prosecuting cases and drafting policy related to crimes against children, primarily child sexual abuse in American Indian country. In 1995, Kathleen transferred from Main Justice to the United States Attorney's Office for the District of New Mexico, where she served for five years as an AUSA assigned to the Violent Crimes Section. Kathleen litigated numerous cases in Federal trial and appellate courts primarily involving violent crime in Indian country, as well as child abuse, murder, kidnapping, and arson. From 1995 to 1997, Kathleen also served as the Field Director of Attorney General Janet Reno’s Indian Country Criminal Justice Initiative at the Pueblo of Laguna, and as Special Assistant United States Attorney for the District of New Mexico. In 2000, Kathleen moved to Las Vegas where she served as an AUSA assigned to the Criminal Division's Organized Crime Strike Force for 12 years. In that capacity, Kathleen investigated and prosecuted a wide variety of cases involving, among other matters, violent criminal gangs, public corruption, obstruction of justice, racketeering, firearms and narcotics charges at both the federal trial and appellate levels. As the Anti-Gang Coordinator for the District of Nevada, Kathleen routinely worked with federal and local enforcement agencies to coordinate strategies for combating organized criminal gangs in southern Nevada. 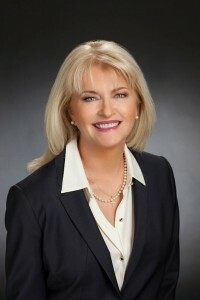 While an AUSA in Las Vegas, Kathleen regularly coordinated with officials from various Executive branch agencies regarding the implementation of policy initiatives including, among other matters, combating gang violence in Nevada and formulating strategies for attacking organized criminal enterprises that endanger the community. Kathleen gained significant knowledge and experience with the Racketeer Influenced and Corrupt Organizations Act (RICO) as effective tool for combating organized crime. After 22 years as a federal prosecutor, Kathleen left to open the white collar defense practice at a large, national law firm where she provided legal services ranging from criminal defense litigation to consultation to record production. Kathleen defended health care providers, business executives and professional sports betters through investigations and court proceedings. In 2015, Kathleen left to form Kathleen Bliss Law, a small litigation boutique dedicated to the protection of individual liberties and civil rights. Kathleen's decades-long federal experience as a criminal prosecutor has given her a broad-based perspective of governmental capabilities. and how best to utilize and implement those capabilities for the purpose of serving the needs of her clients. Kathleen currently serves on the Criminal Justice Act panel for the United States District Court for the District of Nevada, where she is appointed by the Court to serve the indigent accused of criminal offenses ranging from tax evasion to violent crime. Since 2014, Kathleen has also been a member of the Tribal Issues Advisory Group of the United States Sentencing Commission, where she assists in addressing and consulting on federal sentencing issues related to American Indian defendants. As a defense attorney I have obtained several not guilty verdicts in cases including armed bank robbery and assault with a dangerous weapon. I have also obtained partial acquittals at trial in cases involving charges such as Hobbs Act robbery and fraud. I have obtained countless other favorable plea agreements and dismissals for my clients without going to trial. United States Department of Justice Special Achievement Awards: nominated for Director's Award in 2006, 2007, 2008, and 2010.